f(x)= . 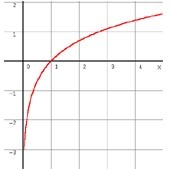 Show its limit, when x ->0. Show the limit of 2lnx+ ,when x ->0. 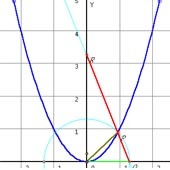 Get line segment OQ in x axis and makes it equal to the length of chord OP of curve y=x ^2which passes through O. Make line PQ. 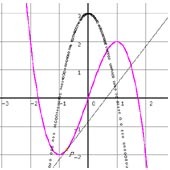 It intersects y axis in R. When P move to O, where will R go?. f(x)= . 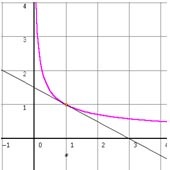 Find the slope of graph of f(x) at point 1. 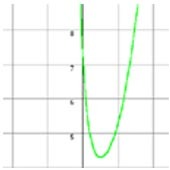 Show the derivative of y=3x- .